Two decades into its development, the Chinese people witnessed Maoist ideology gradually fade and become replaced by capitalism’s insatiable appetite for accumulation and expansion. Today, China’s emergence as a superpower is certainly catching everyone’s attention. Not only is China gaining a new international status, the society itself is also going through tremendous transformation. The intriguing question here is: How do all these changes affect Chinese people, their value systems, their relation to tradition, and their sense of national and cultural identity? The spirit of iconoclasm is familiar to the Chinese people of modern times, recalling the May Fourth movement that ended several millenniums of feudalism and the Mao-led socialist revolution that completely altered the course of modern China. Both legacies champion a radical break with tradition; but is there indeed a rupture between modernity and tradition? 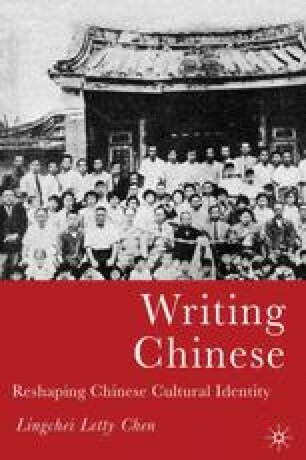 When contemporary Chinese writers contemplate ways to reconfigure identities, the tradition and the integrity of Chinese culture remain essential factors.